The Campaign recently received this message from our friends at Read Aloud 15. Please consider using these fantastic social media messages during March and share with your partners. 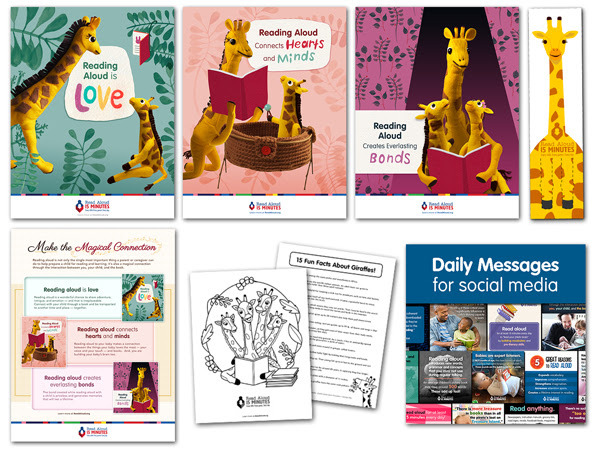 We are excited to share our March Read Aloud Month campaign materials, which now include daily social media messages, here. Our theme for March is, "Make the Magical Connection". You can find Reffie, available for downloading in English and Spanish, within our Partner Toolkit. We would love your help during March with "Where's Reffie?" to advance the Read Aloud 15 MINUTES message. Please think of fun places to take photos with Reffie – for an audience of parents or caregivers with children from birth to 8 – and send to us, or post on social media using #readaloud15. Remember, only 15% of parents are reading aloud to their child in the first year of life. Over three million babies in our nation each year are missing out on the amazing early brain development benefits just 15 minutes a day provides. You can make a difference by sharing our campaign messages with everyone The Campaign for Grade-Level Reading reaches.